Hilarious. Brilliant even in German (where it’s called Othello darf nicht platzen, Othello must not be canceled).This Broadway production is just amazing. Tony Shalhoub is the impresario who is suddenly confronted with a lothario of a tenor – and his jealous Italian wife – who then obviously proceeds to die before he can deliver his masterpiece, Othello at the Cleveland opera house. The way he is trying to save and protect his show – that would mark the 10 year anniversary of the opera house – is pure slapstick and screwball comedy complete with the spitting of fruit (grapes), the slamming of doors and the scream attacks. Toni Morelli, the ego laden tenor with the troubled digestive tract is played by Anthony LaPaglia, who came out of early retirement to have fun on stage. (the retirement thing obviously because of his damaged hip which has been replaced some years ago and is acting up again. Right after the show he is supposed to get himself into hospital to have another hip replacement. Poor guy). Even though he has to be in pain he is keeping up with the high tempo the performance demands and races around, slamming doors with the best of them. He has a decent, yet not grand voice and tends to mumble a bit, just like he did on Without a trace. He is outdone tho by Justin Bartha, the broadway newbie, whose panicked face is absolutely brilliant. He too has perfect comic timing and obviously nerves of steel. When during one of the shows a mouse scattered along the stage and audience in the first couple of rows started to snicker, he deadpanned “this hotel has mice”, while Tony Shalhoub immediately got on the “phone” with the clerk to inform him of the rodent infestation. By then the mouse had escaped and the play could commence. The next day, tho’, PETA tried for some cheap publicity and sent a “humane trap” to the theatre’s manager. The theatre had the better publicity departement tho: they created a facebook-page for the mouse, aptly named Tito Mouse-relli, and had the cute rodent protest against any traps at all – it is, after all, a highly regarded Broadway actor who can’t just be locked away! snort! The play itself is terrific, easily providing everyone with the recommended weekly dose of healthy laughter in just a bit more than two hours. And after the show the cast readily writes autographs at the stage door, most friendly Tony Shalhoub who gives proof that he really IS a great actor when he’s doing Monk. He’s giving out hugs as if they’re gonna be banned tomorrow. Marvellous. Anthony LaPaglia is a little more withdrawn, probably because of the pain he has to be in. But he too joins the cast at the stage door – thank you for that! 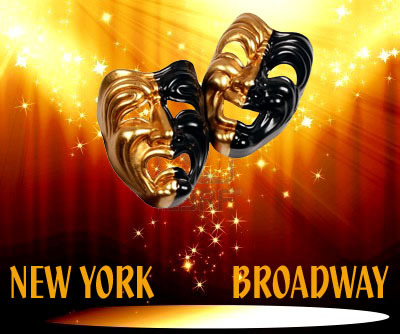 This entry was posted in New York Broadway and tagged Anthony LaPaglia, Broadway, Justin Bartha, lend me a tenor, New York, Tito Mouse-relli, Tony Shalhoub. Bookmark the permalink.